I for one am shocked. Shocked because Hungary is dumping radioactive waste outside of its country. But even more shocked because of the irresponsible risk taken with this transport through a war-torn country and because of the fact that the interested public has been led by the nose. First some background. The spent nuclear fuel originates from an INES 3 accident in 2003 in the fuel pool of the Paks 2 nuclear reactor in Hungary. Workers of Framatom had tried to clean the fuel elements with too cold water, they broke and the following clean-up operation was only finished in 2011. The broken fuel was packed in special containers and then stored in the pool awaiting further management. The logical option would be to let the spent fuel cool and then store it in existing dry storage for spent fuel on-site until some final disposal solution is found. Leaving the material at Paks, however, could impact the basis for life-time extension of the Paks 2 unit from 30 to 40 years. This life-time extension is to be approved by the Hungarian nuclear regulator HAEA in Autumn of this year. In order to get this spent fuel out of the way, Hungary has set up an agreement with Russia and the Russian Rosatom fuel daughter TVEL to move it to Mayak in Russia. The basic agreement was signed two days before EU accession of Hungary in 2004, because the Hungarian government feared that it might be difficult for an EU / Euratom member state to dump its radioactive waste in another country. The factual contract was much more recently signed – as far as my information goes well after the new Euratom Radioactive Waste Directive 2011/70/Euratom became valid. This directive forbids in art. 4.4.c that radioactive waste is shipped to a third state that cannot prove it has an operational disposal facility. Shipping spent fuel to a third country for reprocessing is possible, but then the resulting waste has to be returned or has to fall also under the conditions of art. 4.4.c – needing a functioning disposal facility. Russia has no such facility – nobody has. Nuclear Transparency Watch and several MEPs and Hungarian MPs are still waiting on a satisfactory answer on whether the fuel and its resulting waste are to stay in Russia or will remain in ownership of Paks and will be returned at some time to Hungary – and if, when. If they will not be returned, it is an illegal transport. If they will be returned, it would be good to know when and what will happen with the resulting vitrified high-level waste, as Hungary has no functioning disposal programme for that either. Now my concerns. Because of the complex legal situation of this transport and because of the hard stance of Energy Commissioner Oettinger against export of nuclear waste , Nuclear Transparency Watch was in contact with the European Commission for over a year. The European Commission had promised NTW to actively keep it updated about the situation and in July still confirmed that no decisions were taken. Since then, NTW did not receive any information from the Commission. Hungarian MEPs, MPs and citizens were in August confronted with a complete fait accompli when the media informed them that the transport had taken place. So far for transparency, so far for the rule of law. Then the transport itself. Spent nuclear fuel and nuclear waste transports are highly risky. For that reason they happen as much as possible in secret and under high levels of security. The transport in Hungary rolled through the centre of towns like Kesckemet and Debrecen before it left the country in Zahony to Chop in Ukraine. 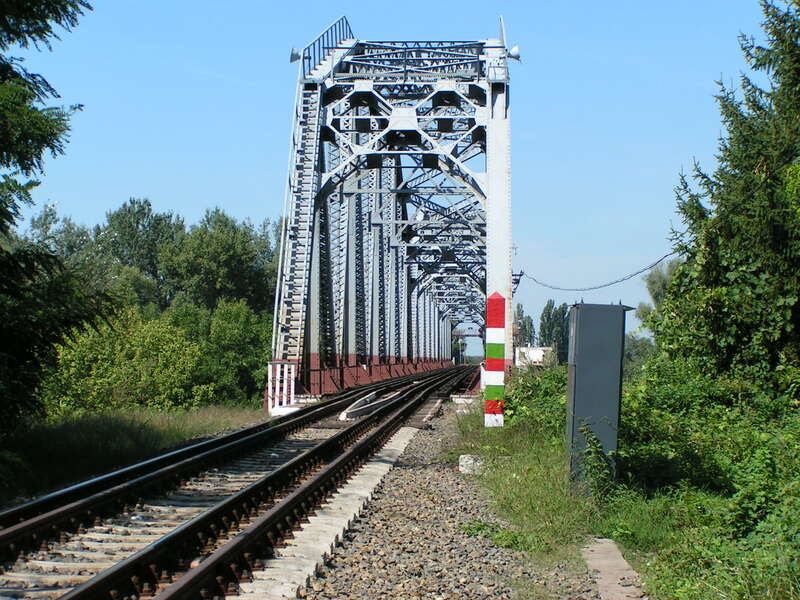 It passed numerous unprotected rail crossings, LPG tanks along the tracks and the high bridges at Baja and Szolnok. Then it went into Ukraine and the rest of the route is unknown. There are several possibilities – the most direct ones leading through separatist-held Donetsk, but it could also have been transported along a more Northern route. In August, Ukraine was facing a full-out civil war. The passenger flight MH17 was shot down on 17 July. The fronts were unclear and there was always the possibility of unexpected attacks outside the war zone. We know that in August, the pro-Russian separatist forces had the availability of BUK missiles and heavy artillery as well as smaller but hardly less destructive mobile weaponry. The chance on a malevolent attack on the nuclear transport was many factors higher than in peace time. Still it went ahead. The question is, of course, who would attack a nuclear rail transport? But the question is also who would shoot a passenger airliner with over 300 passenger out of the air. From nuclear safety perspective, this transport should never have passed a country in a civil war situation. 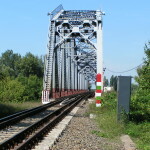 Place where the transport left Hungary for Ukraine. The urgency for the transport was driven by the wish to approve Paks 2’s periodic safety reviewand 10 further years of operation, that is, by the opportunity to create income for its operator, the giant 100% state utility MVM. There was no overriding safety argument to have this spent fuel removed from Paks now. Even if the legality of this transport could be argued, about which I am still in sincere doubt, MVM could have waited easily until Ukraine would be a peaceful country again. This is a clear violation of the principle that nuclear safety should have priority over everything else. Operator MVM, nuclear regulator HAEA, the Hungarian government, the European Commission and the IAEA, all elements of a system that is supposed to prevent these kind of risks, should have stopped the transport. The system we rely upon for nuclear safety has fundamentally failed in all its links. Nothing happened during the transport. We have been lucky once again. But without a credible safety system in place, a next time it might well go wrong. Ir. Jan Haverkamp (1959) is board member of Nuclear Transparency Watch and expert consultant on nuclear energy and energy strategy for Greenpeace Central and Eastern Europe and the World Information Service on Energy (WISE). He investigated the nuclear transport route from Paks to Ukraine on potential risks in 2004 and was involved in Nuclear Transparency Watch’s attempts to get clarity about this transport for Hungarian and European citizens and NGOs in 2013 and 2014.